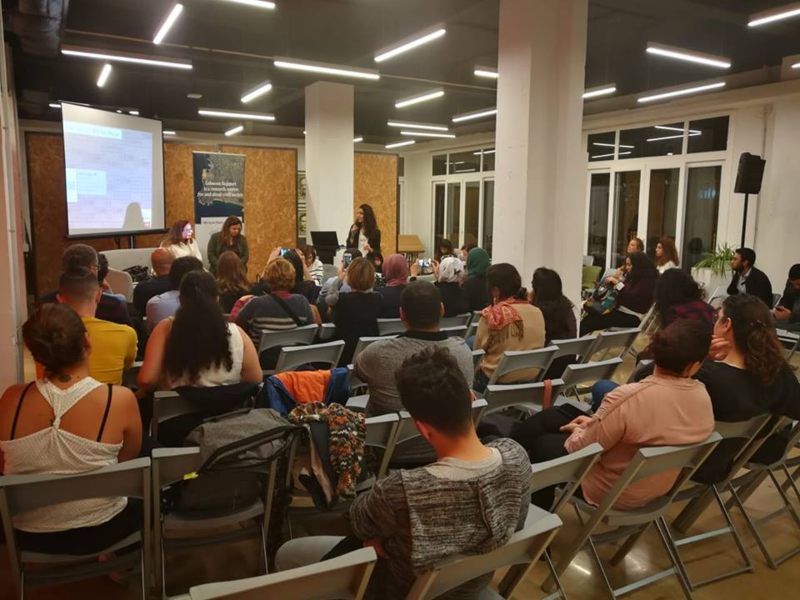 On November 15th, 2018, Lebanon Support in collaboration with the Collective for Research and Training Development - Action (CRTD.A), and in partnership with Diakonia, hosted its fourth Gender Afterworks on women citizenship rights in Lebanon at antwork (Hamra). The discussion was led by Maitre Marie-Rose Zalzal a lawyer, lecturer at Université Saint-Joseph, and activist, and Lina Abou Habib, executive director at CRTD.A. It was moderated by lawyer and human rights activist, Manar Zaiter. Manar Zaiter started the discussion by introducing the topic of citizenship rights for women in Lebanon and reiterating its importance. She explained that the discrimination they face regarding this right considerably undermines their citizen status. Maitre Marie-Rose Zalzal presented a historical overview of citizenship rights from a legal perspective. She explained that the legislation on citizenship rights in Lebanon dates back from 1925 after the dissolution of the Ottoman Empire and was based on the idea that women are dependent on men, and thus, “follow” men’s citizenship status. This also entails that foreigner women married to Lebanese men, and their children can benefit from Lebanese citizenship rights while the same right is denied to Lebanese women. This old legislation has not been amended until today and continues to discriminate against Lebanese women despite civil society efforts over the past years to pressure policy makers into addressing this issue. She concluded by emphasising that nationality is not just a relation between an individual and a state, but is also linked to the cultural identity of the individual. 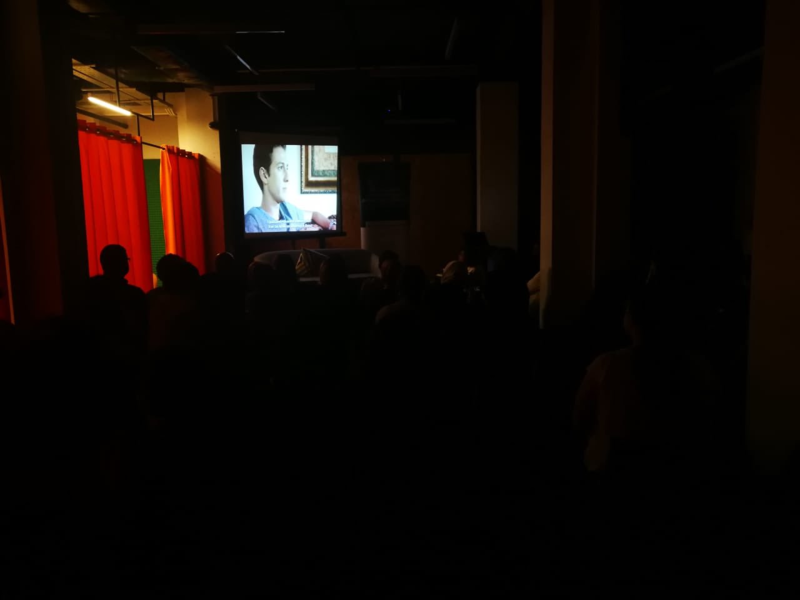 A short documentary “Mother Land Lebanon”, produced by CRTD.A, was then projected. 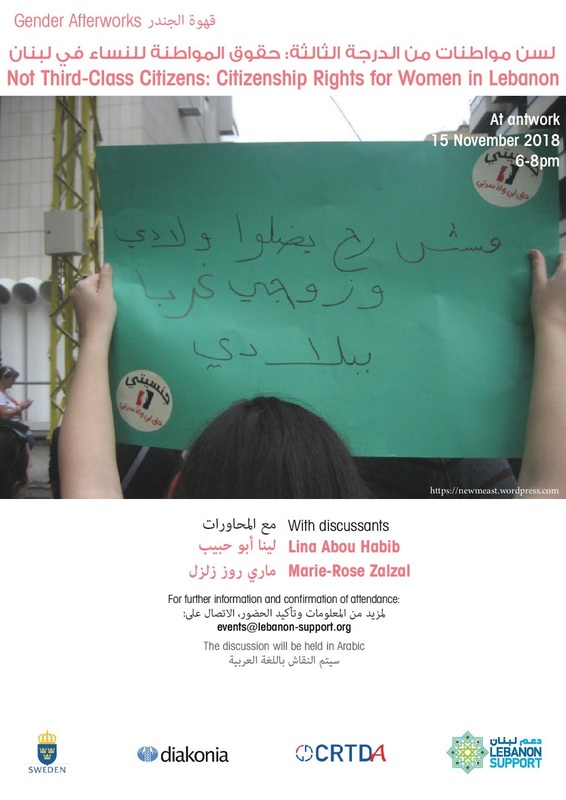 This video compiled testimonies from children of Lebanese mothers and foreign fathers about their daily struggles, linked to not having the Lebanese citizenship, in accessing basic rights such as education, employment, insurance, among others. Lina Abou Habib (CRTD.A) presented the “My Nationality is a Right for me and my family” campaign which started in 2001 at a regional level in several Arab countries. Between 2005 and 2017, a domino effect began in these countries as many of them started to reform their nationality laws to achieve equality regarding citizenship rights. However, in Lebanon no reform has been implemented yet. Policy makers often use unfounded demographic and sectarian arguments to justify their refusal to amend the legislation. However, according to General Security, only 21,789 children and spouses of Lebanese women obtained legal residency in 2017, a modest number which considerably undermines politicians’ stated arguments. Still, the campaign has found a few alliances among politicians and legal authorities who have contributed to the advancement towards equality in citizenship rights. In 2009, judge John Al-Azzi, issued a decision granting for the first time the Lebanese citizenship to children of a Lebanese mother and Egyptian father. In 2010, former Interior Minister, Ziad Baroud, improved the legal status for the foreign husbands of Lebanese women, as well as their children by granting them with a free and three years renewable residency permit. She reminded the audience that, although the road to reform is still long and challenging, civil society actors remain mobilised and continue to actively advocate for change. The audience was able to discuss the issues raised by both speakers notably regarding politicians’ refusal to amend the legislation, but also what strategies could be adopted to build on the abovementioned advancements in order to achieve equality in citizenship rights.